(Newser) – Adnan Syed, subject of the Serial podcast, will get a new trial. On Thursday, a Baltimore judge vacated Syed's murder conviction in the death of his ex-girlfriend, Hae Min Lee, in 2000, and granted his request to be tried again, the Baltimore Sun reports. Judge Martin Welch wrote in his opinion that Syed's attorney was "ineffective" when she didn't cross-examine the state's expert about the reliability of evidence based on cellphone tower locations. "WE WON A NEW TRIAL FOR ADNAN SYED!!! 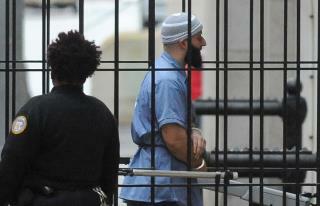 #FreeAdnan," tweeted Syed's lawyer Thursday. The doily on the head says it all.......GUILTY!